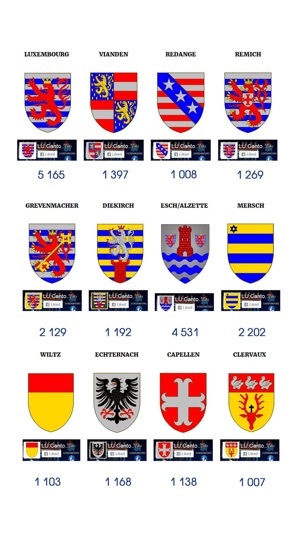 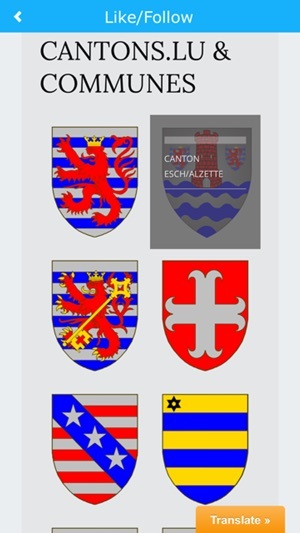 Thank you for your interest in Cantons.LU Application. 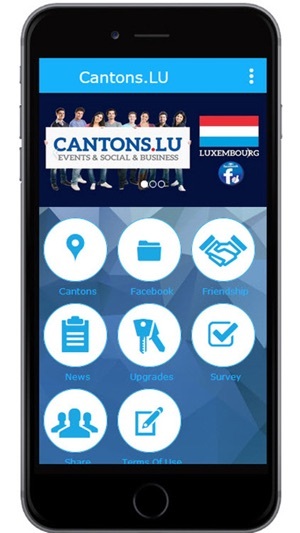 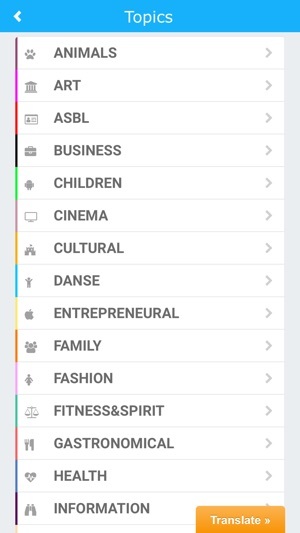 Cantons.LU is a service designed for tourists and citizens of the Grand-Duchy of Luxembourg with the aim to provide a social platform (organized by regions) and improve Events & Social & Business Communications within any canton. 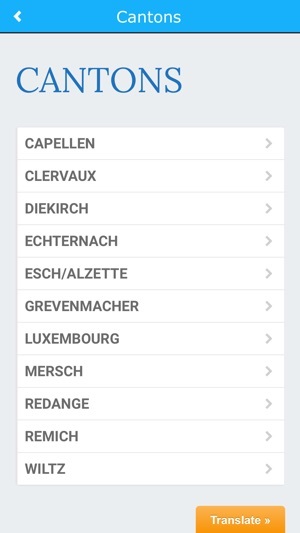 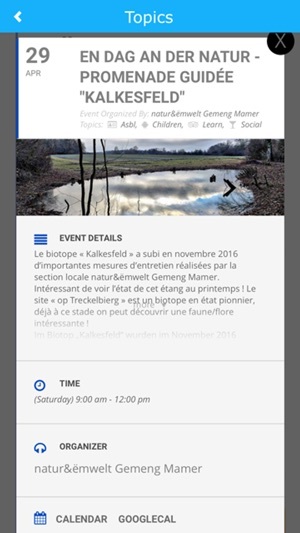 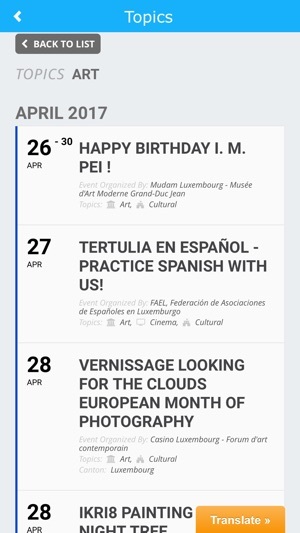 Users can find/upload information on Cantons.LU App, web-site, Facebook pages, participate in discussions, upload events make reservations or buy tickets online etc. 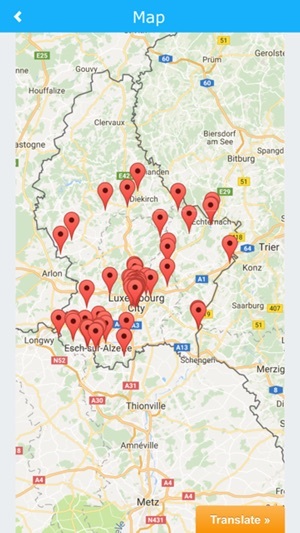 The goal of Cantons.LU service is to create the bridge which connects the residents and promote the business & social activities within each canton in the Grand Duchy of Luxembourg. 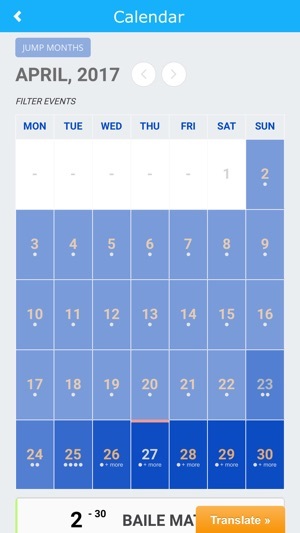 Find friends to visit events in your canton.